Lynne Grossman paints the music in her soul. That driving inner rhythm expresses itself in her multi-talented artistic passions to ColourYourWorld™. Lynne creates eclectic art, from pet or people portraits emanating the subject's special personality, rich landscapes of favorite haunts or commissioned vacation spots, to glorious skyscapes. Her pastel paintings, acrylic collages, photography, and collectable fine jewelry all capture vibrancy and luminescence, coalescing in the unique vitality that mirrors Lynne's unbridled enthusiasm about life. To collect Lynne's distinctive art, will ColourYourWorld™ with pleasure and peace. Her science and education degrees from The University of Virginia were augmented with numerous art history and studio art courses, particularly in portrait, figure, and landscape study. Since attaining a Master's degree in Education, Lynne has led numerous studio art classes and expressive arts workshops to people of all ages with specialties in dance, poetry, and special education. 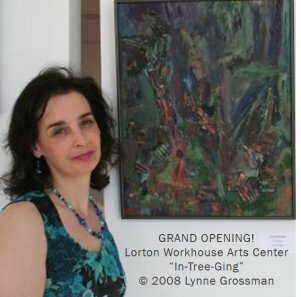 Lynne is a founding artist of the Lorton Workhouse Arts Center. From its inception, Lynne was one of the invited artists whose artwork supported most of the Artists' Palette Fundraising Exhibitions. Her stunning photography has garnered numerous awards. Lynne's unique jewelry was juried into the Greater Reston Art Center Collector's Gallery and is shown throughout the Washington D.C. metro area. Lynne is an active member of her local art community, particularly for promoting healing through the arts. Several of her pieces are in Inova Mount Vernon Hospital's permanent collection of healing art including prints of her pastel paintings "Power of Hope" and "Shy Kitty". Additionally, the photograph "Delicate Iris" was particularly honored for permanent display in their redesigned Infusion Center. Inova Kellar Center chose two of her photographs "Awesome Sunrise" and "Cocoa Snowflake" for their permanent collection of healing art. Although Lynne has been juried into numerous shows and won several awards, her ultimate pleasure is when her art strikes a resounding chord in the heartstrings of viewers. The sparkling joy shining from their eyes is an incomparable symphony. Let Lynne ColourYourWorld™ with her art!